Property 2: On Frenchmen Street - Whole House - With Courtyard! Property 4: 2-Story New Orleans Guest House-Walk to Streetcar! Property 6: A Beautiful Jewel Box... This House Is Painted Black ! Property 7: Historic Marigny Lofted Cottage Open Floor Plan WALK to Frenchmen St & Fr.Qrt. Property 11: MARGINY'S SLICE OF THE CARIBBEAN --CHARM, CONVENIENCE AND COMFORT!!! Property 16: Newly Refurbished Cottage In The Heart Of The Marigny, located in a cat club. Property 17: LEGAL GUEST HOUSE -Little Eazy-Want to support the city and not just the owner? Property 19: Bywater Home w/ Garden | Walk to French Quarter! 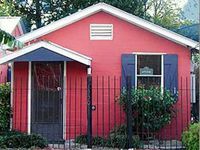 Property 29: NOLA Creole Cottage - 5 Miles to Bourbon Street! Property 30: Bywater Home w/ Porch | Walk to French Quarter! Property 31: Adorable Creole Guest Cottage, Steps To Shopping, Restaurants, And Parade Route! Property 35: Totally redone 3 bedroom/2 bath with NOLA charm, new appliances & furnishings! Property 37: DESIGNER ART LOFT NEAR FRENCH QUARTER & FRENCHMEN--AWESOME LOCATION! 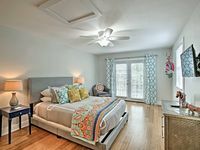 Property 38: Uptown Cottage...Experience New Orleans Like A Local! Property 40: PEARL ST. GUEST COTTAGE OFF ST. CHARLES,30 NT. MIN. It as small but the two of us didn&rsquo;t need much room! The hot plate was perfect for eggs (our breakfast staple). The area was quiet and a short walk from the streetcars. We never had a problem getting a Lyft to anyplace in town! We loved our stay here!! Andrew and Liz were helpful in recommending dining experiences and available for any questions! !